Home Bio Links Contact Me! David Frye is a graduate of East Carolina University School of Art, where his areas of concentration were drawing and printmaking. A North Carolina native, he moved to Sherburne, NY, in 1989, and now resides in Oxford, NY, with his wife, Susan, and their dogs (three Bouvier des Flandres and one Affenpinscher). Pencil, color pencil, and silverpoint (or metal point) were his primary mediums until the mid 1990’s when he began to explore the possibilities of glass engraving. 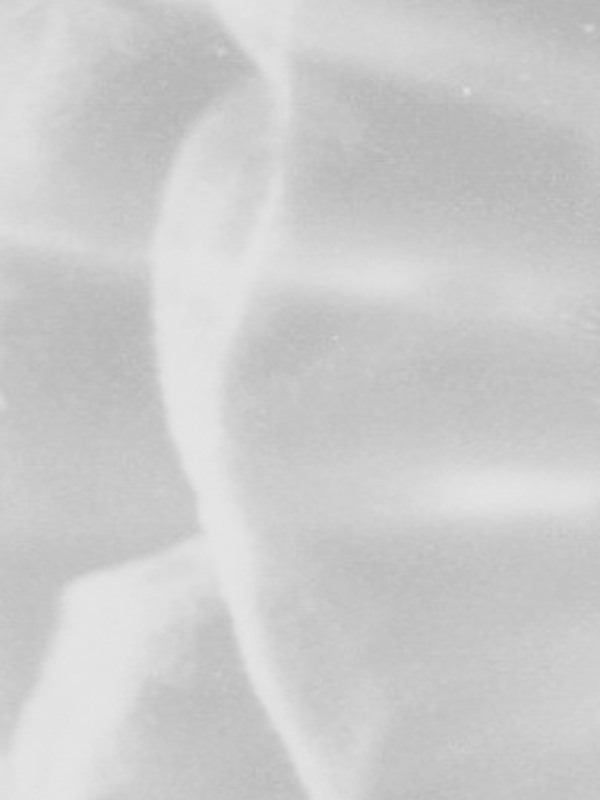 He has utilized several techniques of engraving glass including sandblasting, acid etching, and drill engraving. In 2003, he began his first efforts at point engraving, also referred to as stipple engraving. David’s favorite subjects are portraiture, landscapes, and historical landmarks and ruins of interesting old buildings and barns. He and Susan have been very active in AKC conformation shows with their dogs, which led to his enthusiasm for portraits of K-9’s, as well as other pets. “When Susan and I started showing our Bouviers, and working AKC shows with the Chenango Valley Kennel Club, we discovered that there were very few interesting trophies for our breed being offered at the shows. 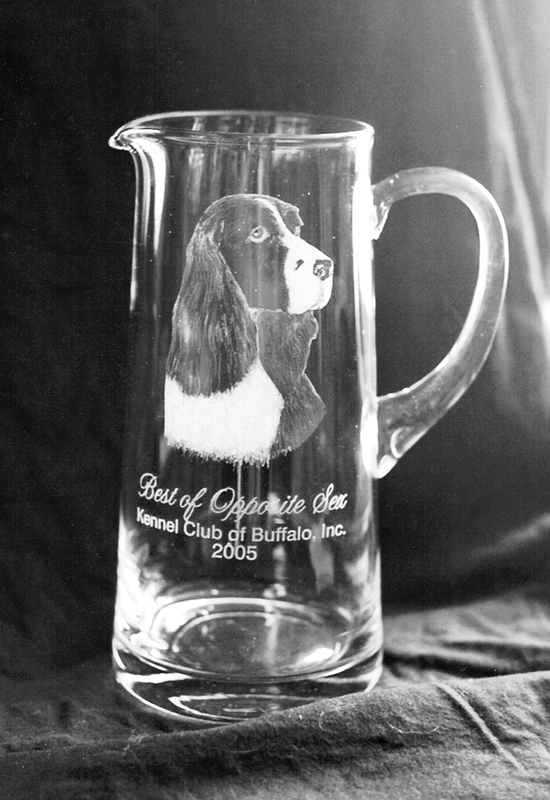 We decided to start donating breed trophies for the Bouvier that were more in line with the kinds of things that we would like to see, and that other Bouvier people had expressed interest in seeing offered as trophies.” Pet portraits now comprise a large part of David’s commissioned work, both drawings and engraved glass. In addition to dog shows, the Frye’s have been very active in helping with breed rescue efforts. Their offerings of artwork for rescue fundraising events has helped the American Bouvier Rescue League and the North American Working Bouvier Association with much needed funding for rescuing, rehabilitating, and placing Bouviers that have been removed from shelters or abusive situations, fostering and re-homing them. Susan was the New York State coordinator for the American Bouvier Rescue League for several years, and the Frye’s evaluated and fostered many dogs during those years. “It was both heartbreaking and exhilarating at the same time to see dogs that had been so mistreated, but still had a capacity for love that exceeded anything I’ve ever seen. If donating my time and artwork can help offer abused dogs a second chance at life, then I feel like I’ve done something worthwhile.” Many artists and craftsmen regularly donate their work for breed rescue organizations fund-raising efforts, usually auctions and raffles. Many people donate other types of items, some dog specific and some just for people. There are nearly 180 different dog breeds recognized by the American Kennel Club. Almost every one of the national breed clubs has a rescue program in place. There is also the SPCA which continually needs support, and they are involved with all animals, not just dogs. It’s something to think about, and it’s a guaranteed way to feel good about yourself. Black Bear Winery, Chenango Forks, NY. Solo exhibit (April, 2009). Chenango County Council of the Arts Members Exhibit, Mareia Brown and Raymond Loft Galleries, Norwich, NY (2008). Mareia Brown and Raymond Loft Galleries, Norwich, NY. Group exhibit with two other artists (2008). Chenango County Council of the Arts Members Exhibit, Mareia Brown and Raymond Loft Galleries, Norwich, NY (2007). “The Dog Days of Summer”. The Main Street Café, Spencer, NY. Group exhibit (2006). Barnes & Noble Bookstore, Vestal, NY. Solo exhibit (2006). Chenango County Council of the Arts Members Exhibit, Mareia Brown and Raymond Loft Galleries, Norwich, NY (2006). Jail House Restaurant, Owego, NY. Group exhibit (2005). Black Bear Winery, Chenango Forks, NY. Exhibit with Keith Rosko (2005). Chenango County Council of the Arts Members Exhibit, Mareia Brown and Raymond Loft Galleries, Norwich, NY (2005). Mareia Brown and Raymond Loft Galleries, Norwich, NY. Group exhibit with two other artists (2004).